CakeSpy Note: if you follow me on facebook or Twitter, you probably know I'm partial to documenting my sweet goings-on. Here's where I post a daily feel-good photo, for no particular reason other than to showcase these sweet little nothings, in hopes that they'll make you smile. 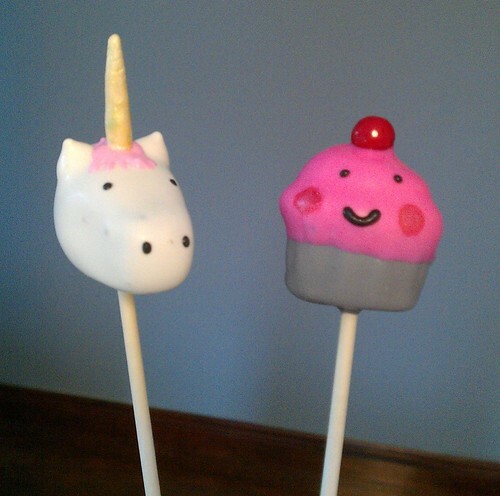 Now, here was a very sweet surprise: Heidi of One Wild Strawberry surprised me at CakeSpy Shop with some totally sweet cake pops, decorated like Cuppie and unicorns! OMG! My new favorite person!